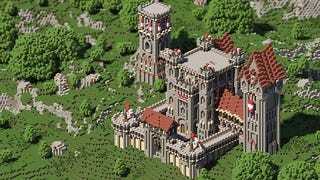 Minecraft screenshots always look so great when they're isometric and the buildings have this classic strategy game feel. Just like this one by superhoiee. It reminds me buildings from the first Settlers game or larger castles from Age of Empires. Really cool build.